But what does all this have to do with you? Well, I'm raffling off some prizes and giving out some freebees to boost the donation (expenses out of my own pocket, not the donation :P ) So what's in it for you, besides that warm, fuzzy feeling you'll get knowing the Xmas presents you’re buying include an automatic donation? Well, how about I give you the new edition to the award winning No Hope for Gomez saga completely free? 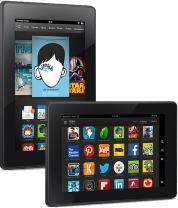 And how about a Kindle Fire HD raffle ticket with every purchase while we’re at it? Winner of the Forewords Book of the Year Awards, featured on Kirkus Best Indie List 2011, IBA and USA Book News Award nominee. It's the age-old tale: Boy meets girl. Boy stalks girl. Girl already has a stalker. Boy becomes her stalker-stalker. We've seen it all before, many times, but this time it's different. If only slightly. “Captivating. Each story fired up my imagination.” – Alan H. Jordan, author. "Delightfully mad. Graham's vibrant characters shine from the first page." --Tahlia Newland, author. Gomez has never been on a date. In his 27 years on the planet he’s never been able to quite close the deal. For some reason, circumstances always conspire to make his meet-ups with women less than official dates. But now a blond German girl with freckles has moved into his building and he decides it’s time to get his act together.